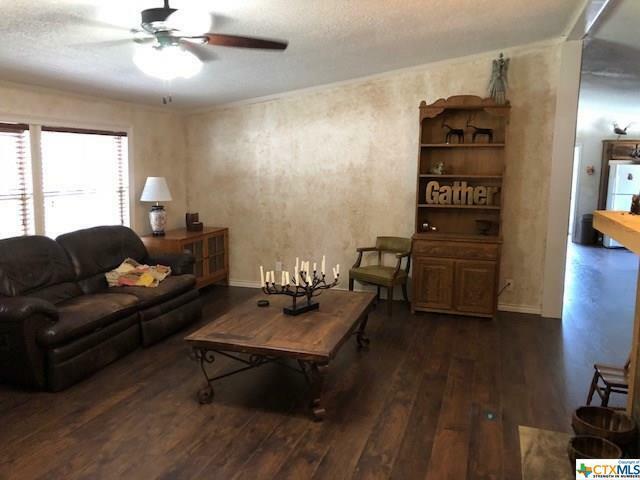 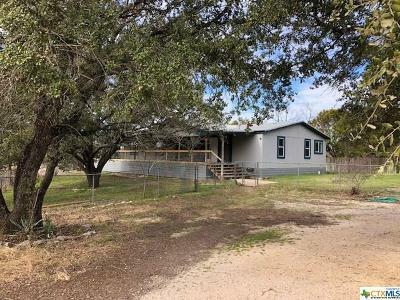 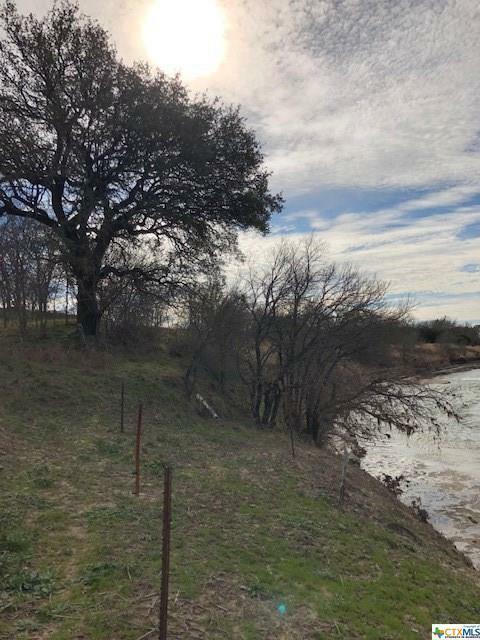 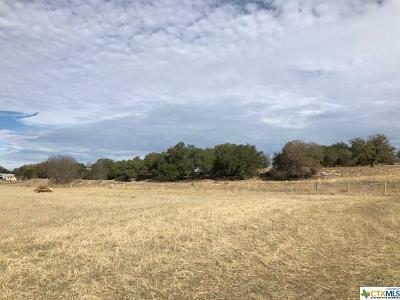 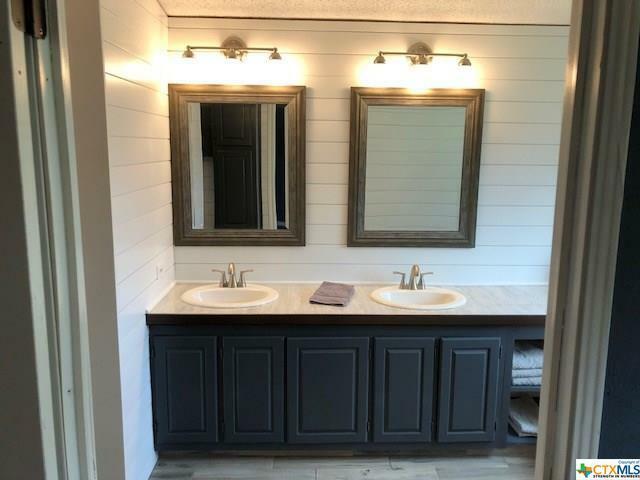 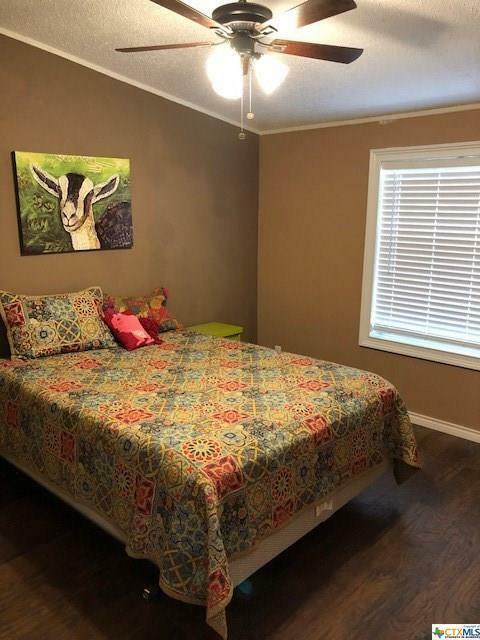 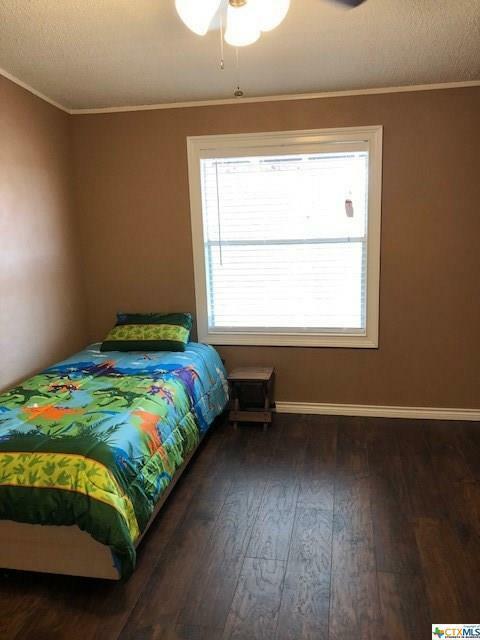 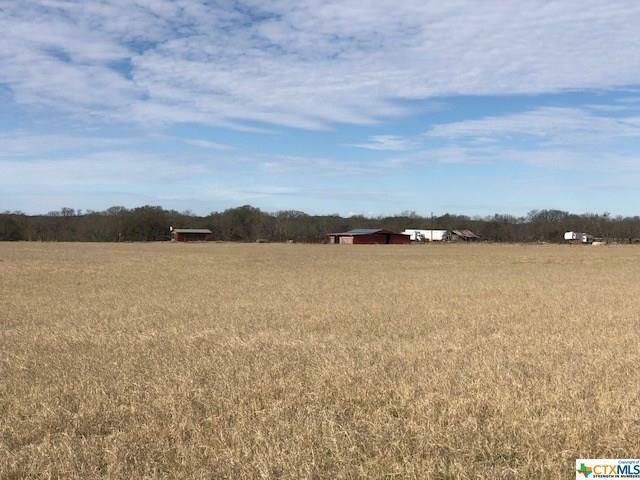 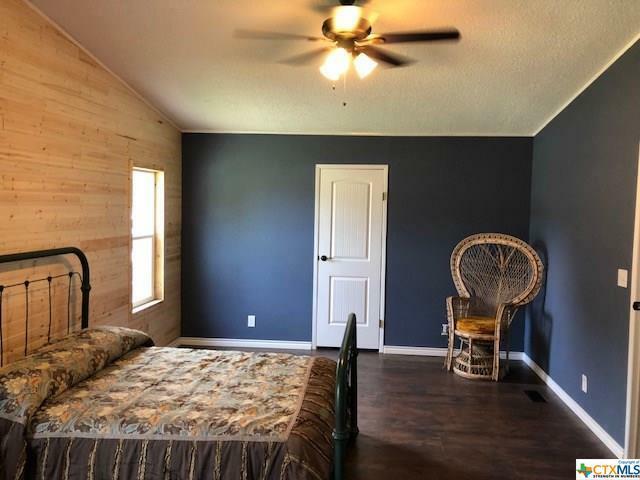 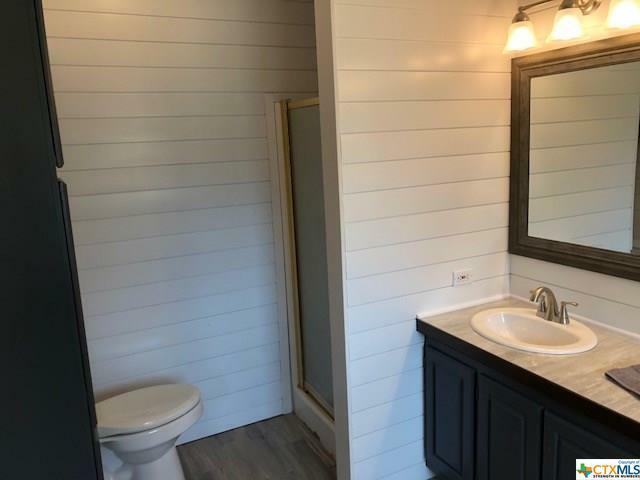 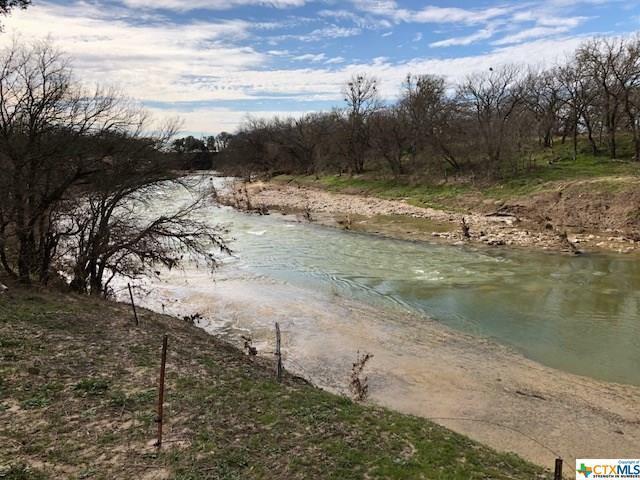 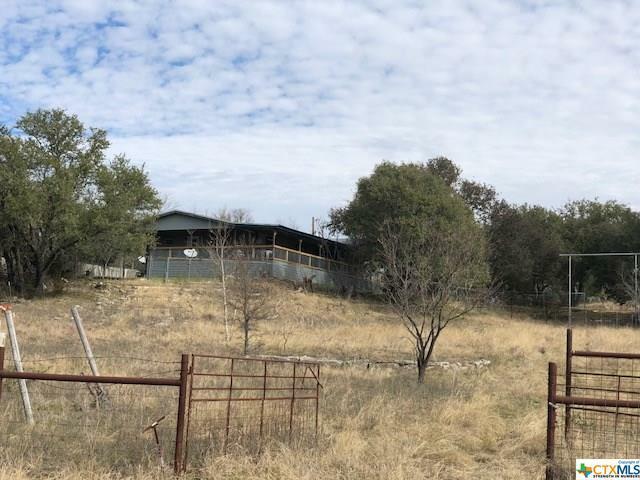 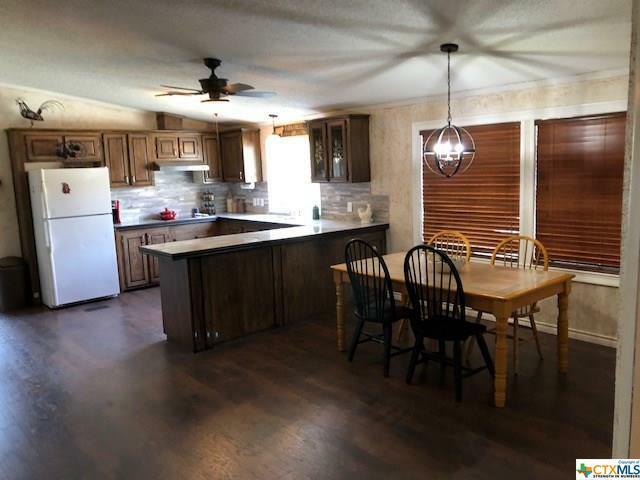 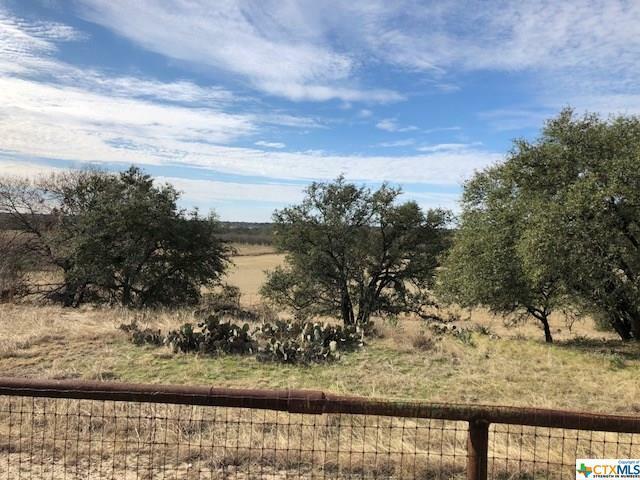 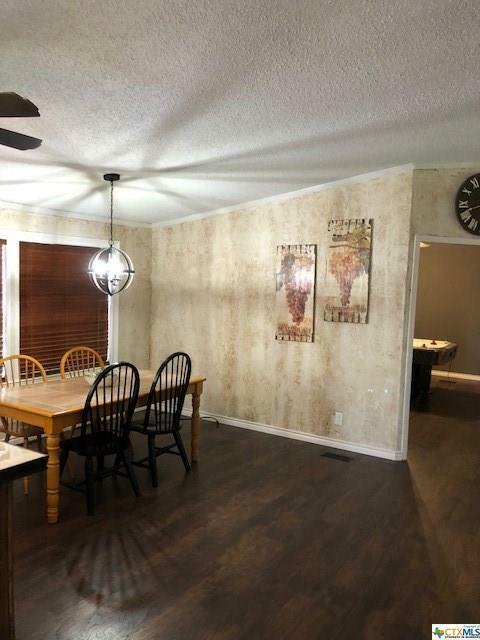 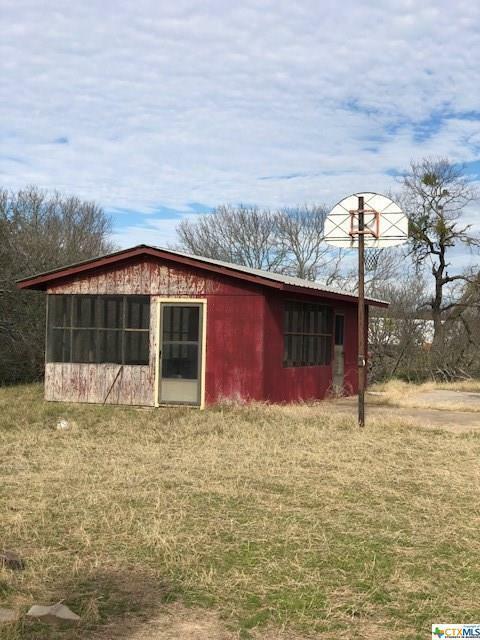 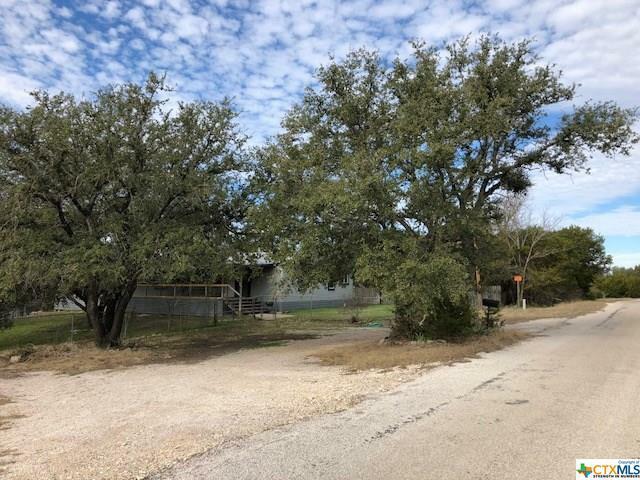 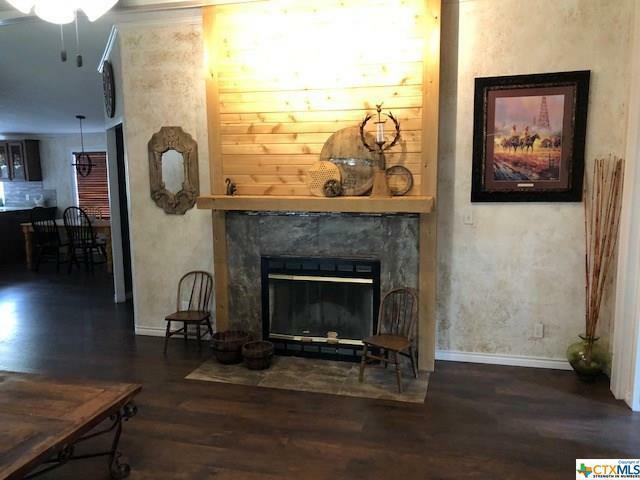 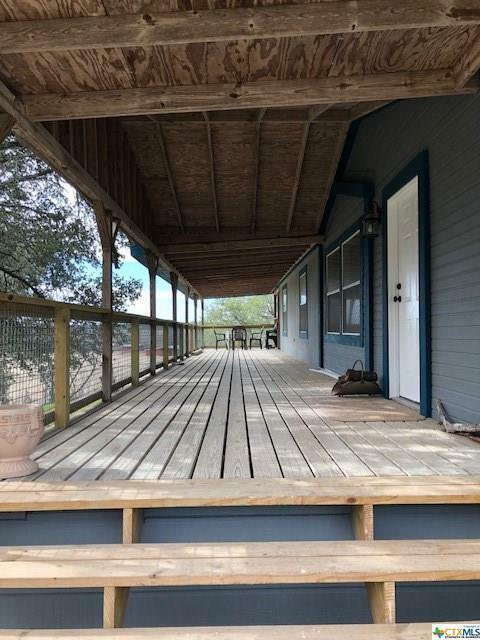 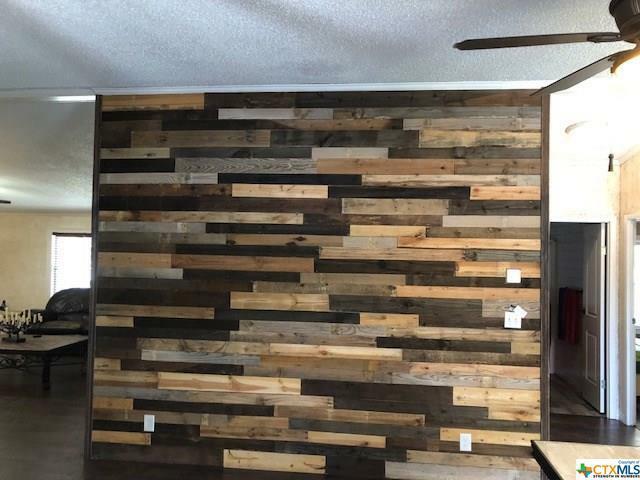 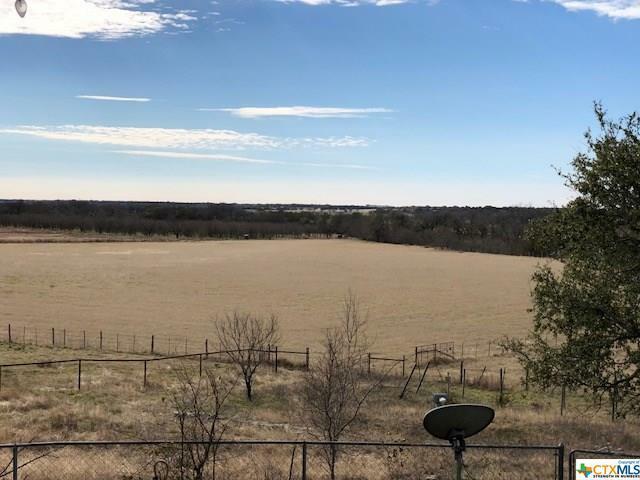 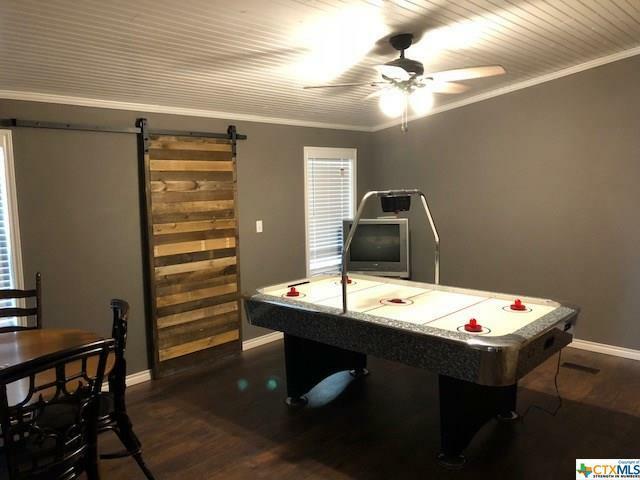 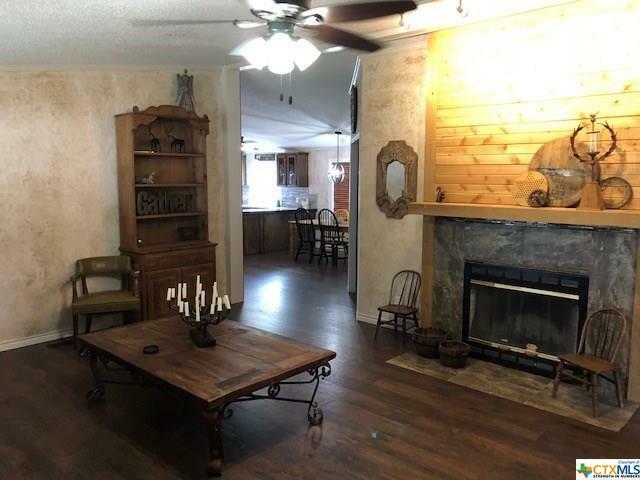 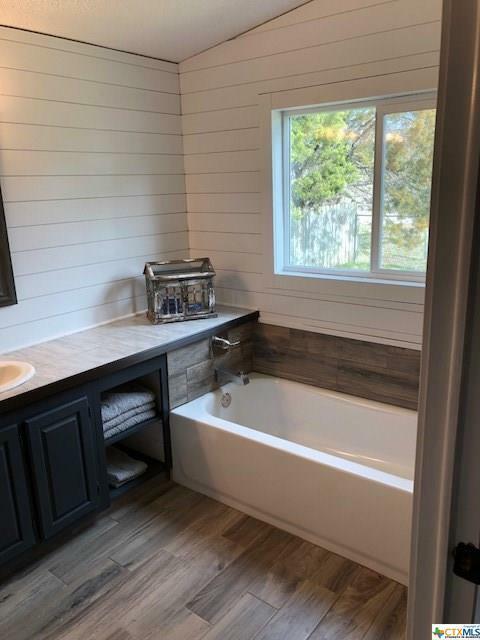 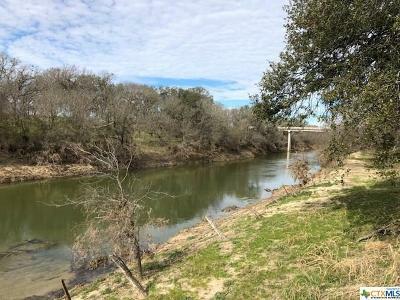 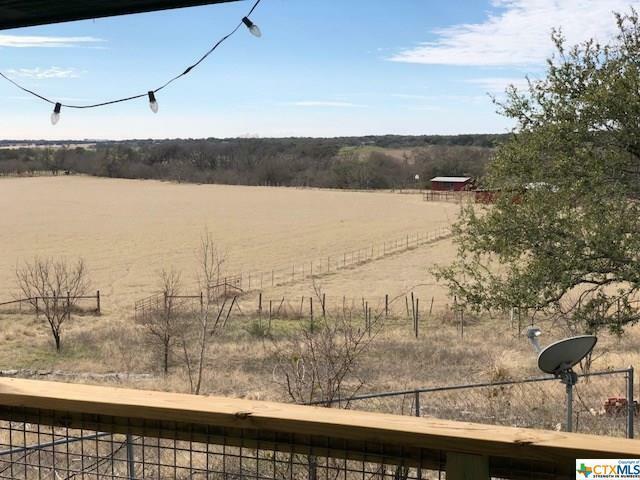 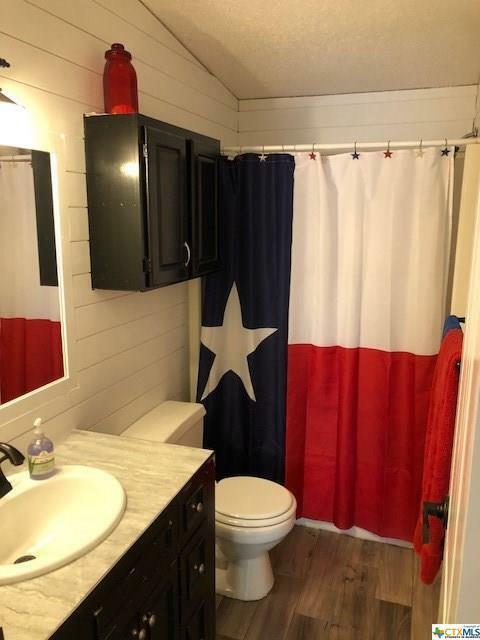 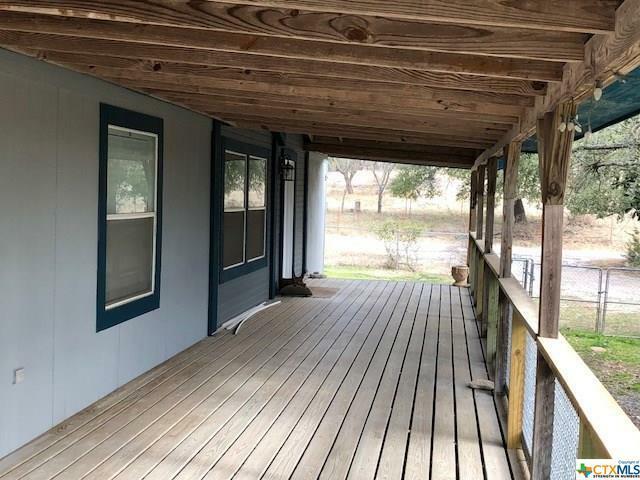 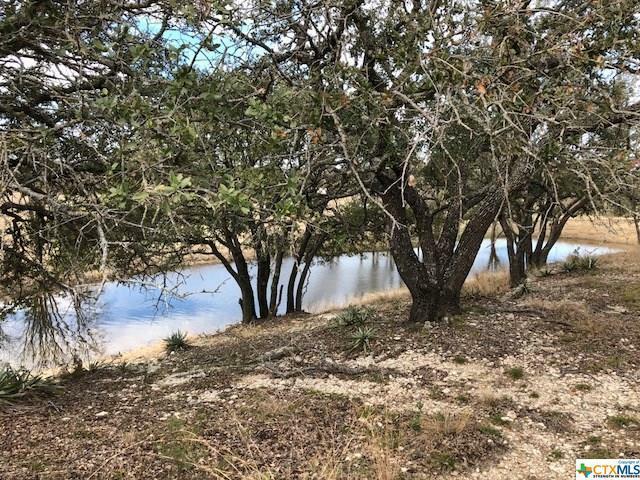 This lovely 20 acres at the Rumley Community just off FM 580 E provides 900 feet of the Lampasas River has good tree cover along the river and along CR 3210 where the 2176 SF 3 bedroom,2 bath,2 living area remodeled manufactured home sits.The home has new wood laminate flooring,new insulated Hardiplank skirting,new tape float and texture of walls,new tile/cedar fireplace upgrade,ceramic tile floors,tile backsplash,refinished cabinets,new appliances,ceiling fans,light fixtures,and exterior paint.The home has wood siding,a metal roof,and 10’ wide porch in front and side.The 20 acres includes an 11 acre coastal Bermuda field and should be eligible for Ag Exemption on taxes in the year 2020.There is a 16 X 20 screened in cabin and recreation slab overlooking the river. 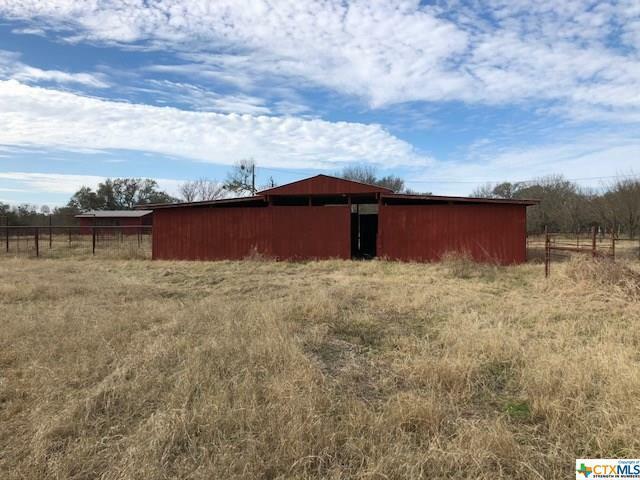 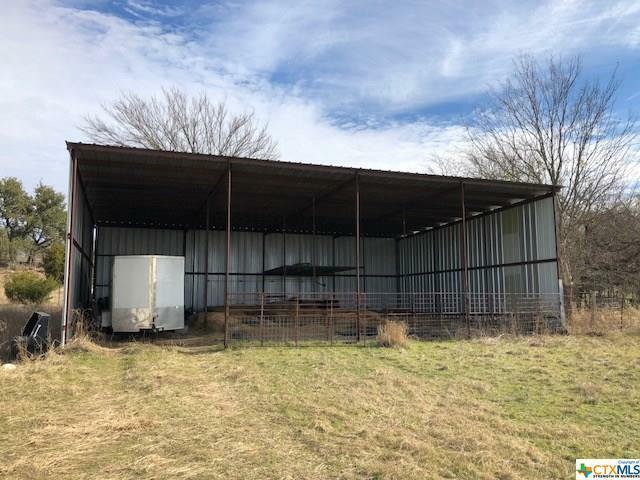 Also a 3000 SF red barn with 5-6 stalls and center work area.For storage there is a 30 X 40 shed that is three sides and roof covered in metal.The home sits on a hill overlooking the 20 acres, river bottom,and a nice pond. 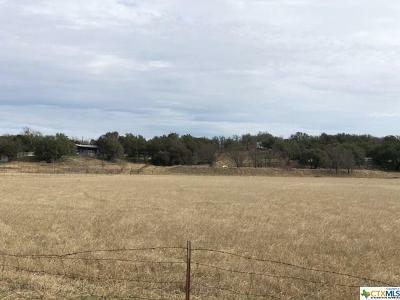 Directions: From Lampasas Take Fm 580 East To Rumley And Turn Right On Cr 3210. 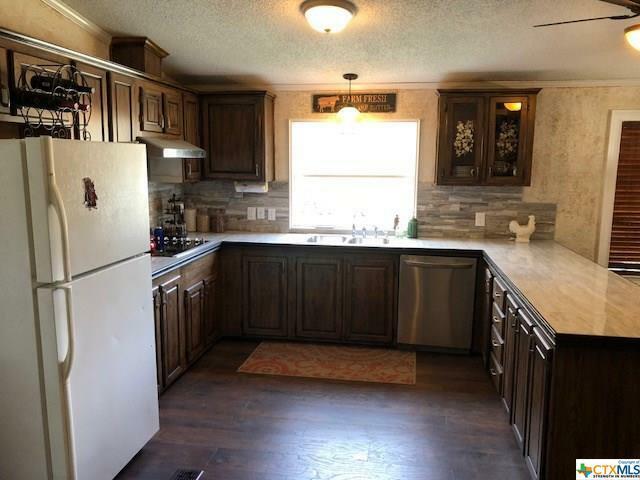 See Signs On Right. 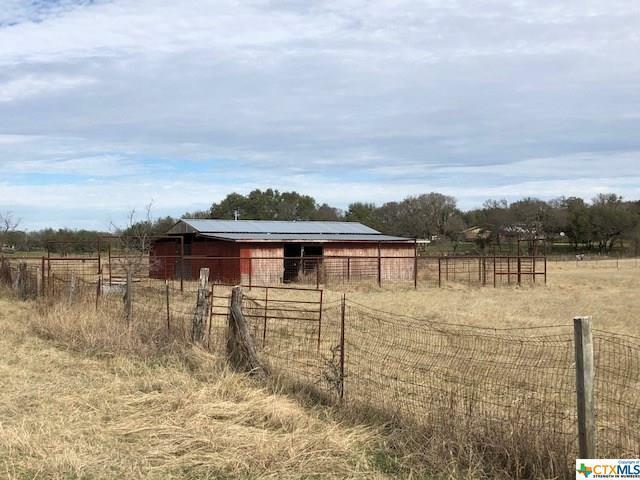 Second Property South Of Fm 580 E.